Part 2. Thought there’s a pool party! I should get this over with or I’ll forget this last part forever. And so we drove out of Tinuy-an Falls around 3 in the afternoon. I know we still have one more stop before hitting the road back home – The International Doll House. I’ve been reading a lot about this doll house and my daughter has been whining to see the collection being into dolls herself, though she doesn’t really maintain such high level of enthusiasm when it comes to collecting dolls, just that fad brought about by her age. 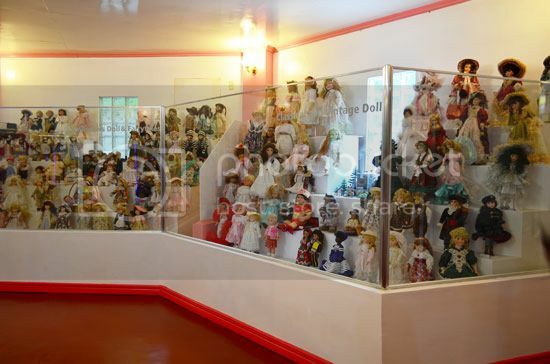 Adults have to pay P20 for the entrance fee; the kids get to see the dolls for free. And they’re all excited finding the door in. I thought it’s just a door away from the car bay, I didn’t know I have to scale a 275-step stairway before reaching the house. But we started scaling it anyway, one small step at a time. I was amazed the whole time of the climb. The owners, which seemingly have bought the whole of the mountain, were able to preserve the area so well. 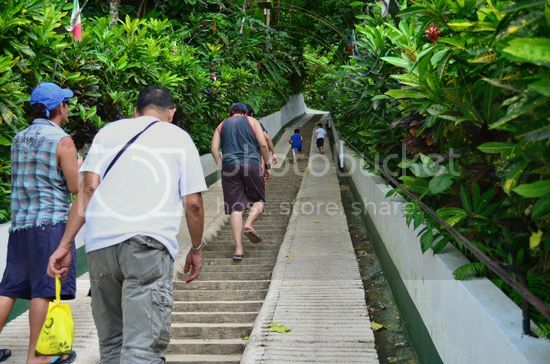 In fact, the the natural vegetation has not been destroyed, the entire area is so steep but teeming with greenery you won’t expect there’s a big house and restaurant on top of it. We finally got to the last step and saw this … this is it! The lady at the door told us to leave our slippers by the door, hmmmm, so Pinoy. 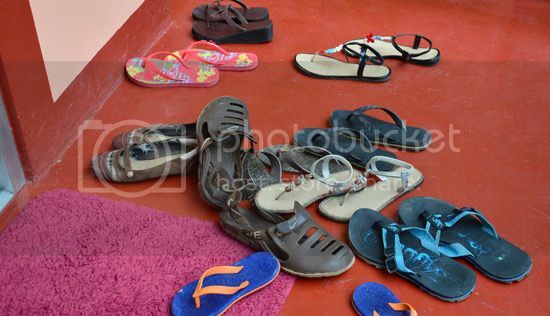 We did as told and when we got inside I understood why we should leave our footwear, the floor is so squeaky clean and bringing our muddy slippers in would just embarrass our dirty feet. LOL. 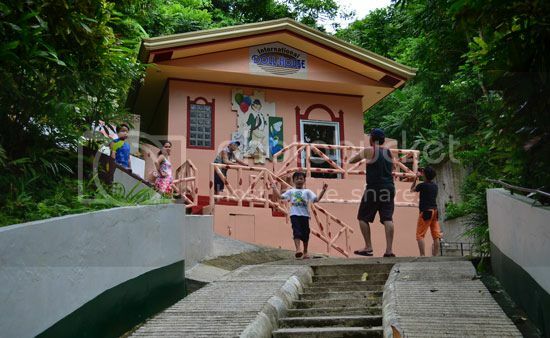 The pretty lil' house is fully air-conditioned and it's well-lit. 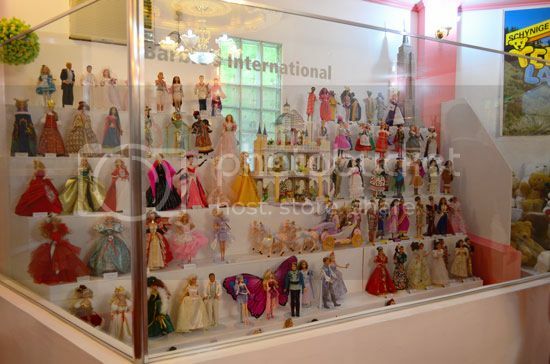 It’s a small, airy room with glass cases mounted around with hundreds of dolls lined in behind. 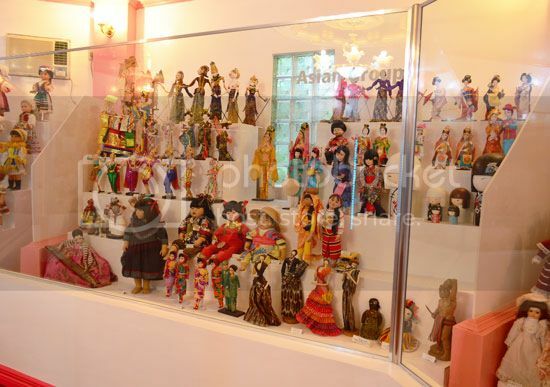 The dolls were group per category of collection - Barbie Collection, Asian Group, European Group, Clown and Stuff Toys, Dolls in Fairy Tales, etc. 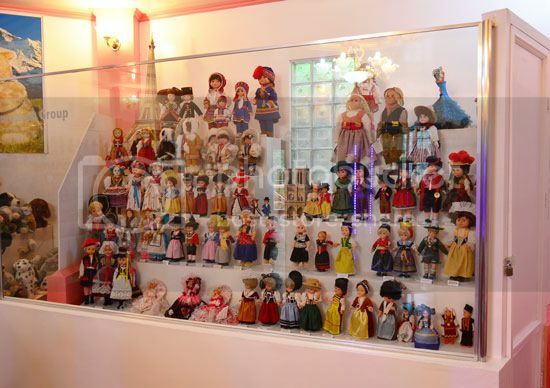 The owner, Mr. Werner Willimann, a Swiss national with her Filipina wife, Rueline have been collecting dolls from all over the world for the last 30 years. 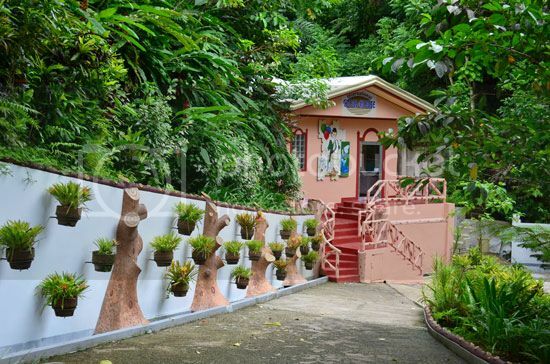 They have collected thousands that this house is just so small, it can’t lodge them all. 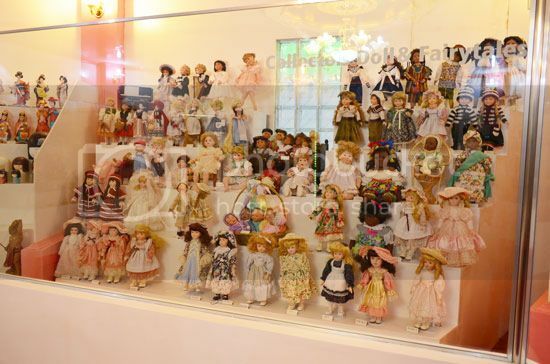 I’m not really a fan of dolls, blame it to Chuckie, but my Uncle who has a penchant for collecting stuff like jars, shells, drift wood and the like – was so fascinated he has to look at each one of them for minutes. They’re the real stuff, they come with certificates of authenticity, some even are made of porcelain. They’re expensive, very expensive and since they are, they’re insured. Yes, they are insured. 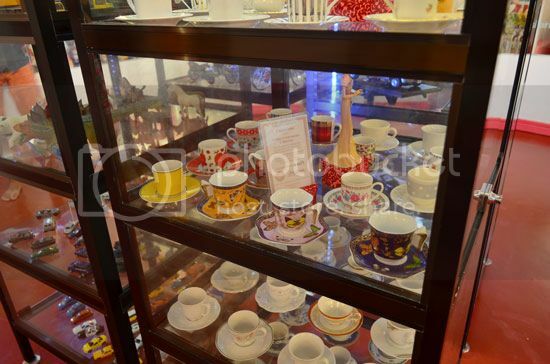 If you love Barbie, you’ll definitely love this collection. They have Filipino dressed Barbies, Glam Barbies and the Barbie in yellow and gold ensemble in the middle is the most expensive Barbie in their collection, our lady guide didn’t disclose the price though. 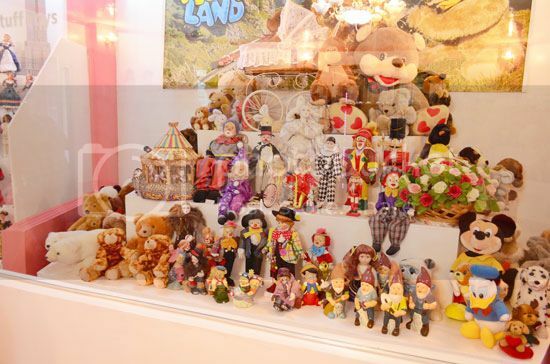 The couple collects some of the rarest dolls in the world. The doll in white dress, that doll sitting on the second ledge by the light of the window, is Anna. His father was one of the richest men in Germany and he commissioned a doll likened after her daughter with her real hair attached on it, cool. Please, don’t walk of the glass panel at night! LOL. 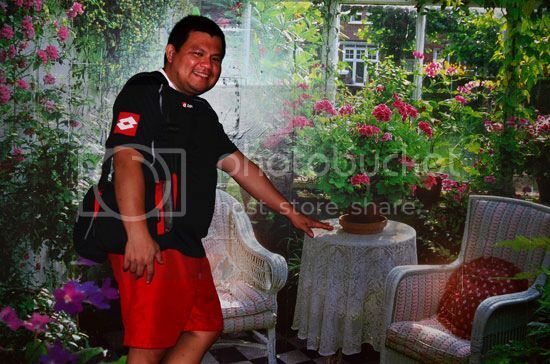 I thought this is just an ordinary wall, pasted with an ordinary garden-themed wall paper. They look so conventional, but look again; it’s actually 3D wallpaper. The picture changes once it’s captured on camera. Our lady tour guide said, this wallpaper was previously owned by Universal Studios and was bought by the couple at an auction. Nice. 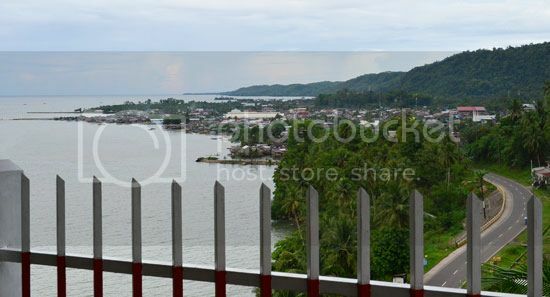 We’re beating time, we have to be at Cuevas junction in Trento, Agusan del Sur before the nightfall, we have to hurry so our desire to dine at the Ocean View Restaurant, a restaurant the couple also run, which is just a stone’s throw up from the doll house was never considered. I was sad, but have to try their food next visit. 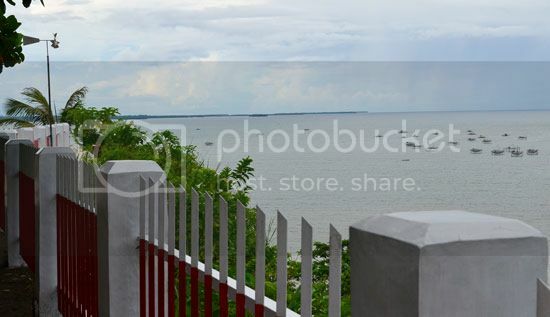 Their resto has a perfect vista of the whole City of Bislig and the Bislig Bay. They also have the cleanest comfort rooms. It's a beautiful place. And to cap this off, it’s remarkable how after many years of collecting these unique, some rare dolls which I assume the couple have enjoyed hunting some of the hard to acquire dolls from all over the world, were able to put all these together and brought joy, appreciation and amazement to the faces of the young and old alike, like us, it’s amazing! I guess one will always come down with smiles in their face, despite all the muscle control exerted while scaling down the stairway, after seeing all those lovely dolls. Thank you for the experience. We arrive home safe and sound, thanks to our lady driver, Ging! Until next adventure ladies, thank you for reading.